Situated at the heart of Speyside in the northeast of Scotland, Ballindalloch Estate is a diverse and forward-thinking business owned and managed by the Macpherson-Grant family. Responsible stewardship is at the core of everything we do. We are working to help sustain the rural community of Speyside and to preserve the landscape and heritage of this beautiful part of the Scottish Highlands for future generations. Our commercial activities are varied, encompassing arable and cattle farming, forestry, residential and holiday lets, corporate entertainment, and our very own Ballindalloch Single Malt Distillery,which opened in 2014. We are also a famous Highland sporting estate, welcoming guests from around the world to enjoy excellent fly-fishing on the Rivers Spey and Avon, as well as pheasant and grouse shooting and world renowned roe stalking. We hope you enjoy our website and please check in regularly for more information and the latest news from Ballindalloch Estate. The lands of Ballindalloch and Glencairnie were granted to John Grant of Freuchie by King James IV in 1499 in reward for his: ‘Good faithful and thankful service in peace and war’. It was John Grant’s grandson, also christened John, who began the construction of a castle at Ballindalloch in the 1540s. 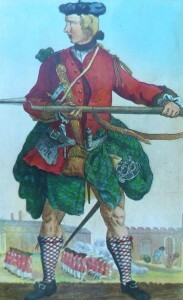 Traditionally, the lairds of Ballindalloch have been, at heart, men of the Highlands, concerned first and foremost with being good custodians of their estate. 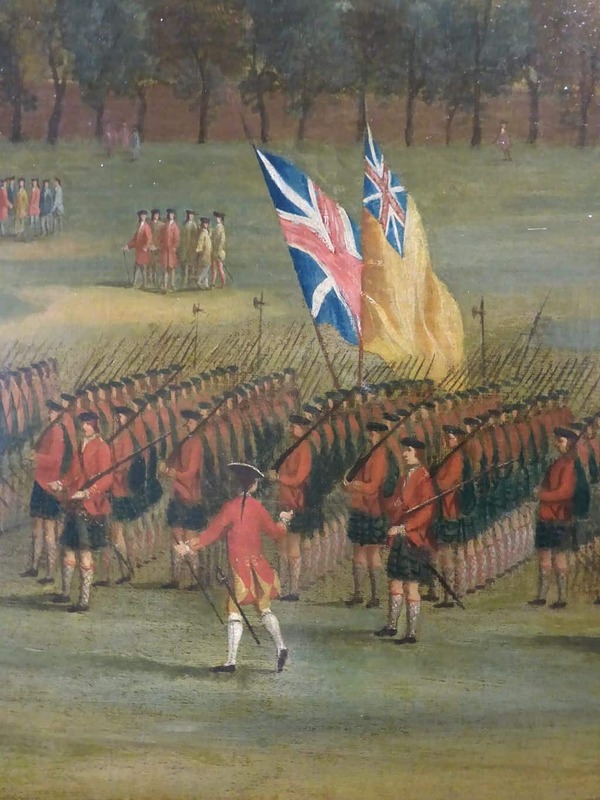 Up until the early 1800s life on the Ballindalloch Estate changed only with the seasons. 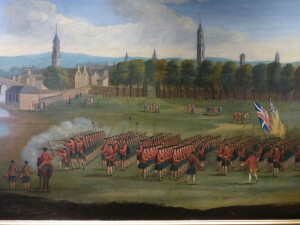 However, the tendrils of industrial and agricultural revolution spreading across northern Europe would eventually reach out to the Highlands and the 19th Century would witness considerable modernisation. In particular, Sir George Macpherson of Ballindalloch, the 1st Baronet, was a devoted farmer and his stewardship brought about tremendous improvements in the efficiency of the Estate. The 3rd Baronet, Sir George Macpherson-Grant, was also a dedicated farmer and agricultural innovator and is best known for establishing, in 1860, the Ballindalloch herd of Aberdeen Angus cattle, now the oldest herd in the world. 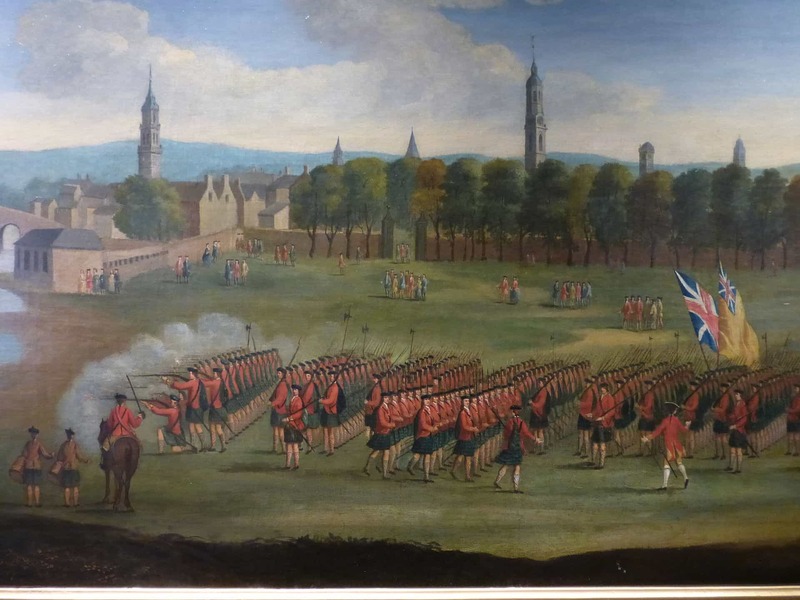 The tumultuous era of two world wars would force a stark choice upon the great estates of Scotland: diversify or die. 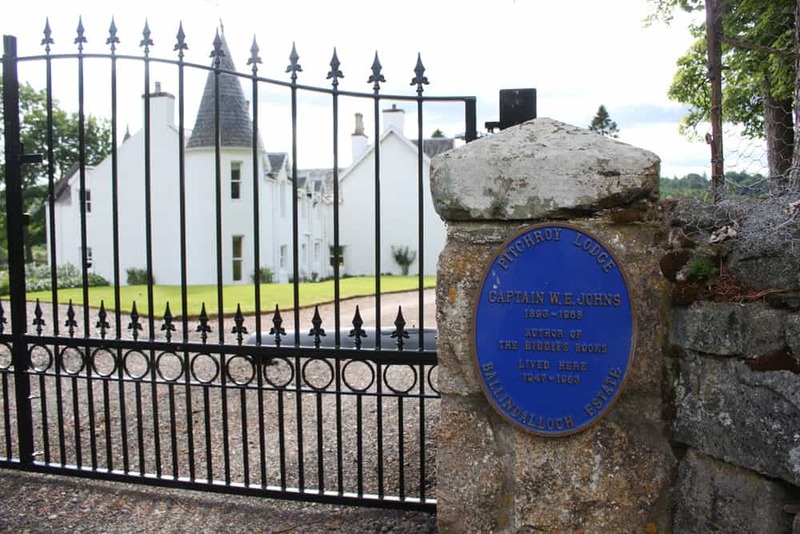 From the late 1970s onwards Clare (Macpherson-Grant) and her husband Oliver Russell devoted themselves to diversifying the activities of this ancient Highland estate, ensuring that Ballindalloch Estate would continue to play an important role into the 21st Century. The traditional activities of arable and cattle farming were complemented by new departures into forestry, country sports, leisure and tourism. Today this process of sensitive diversification is carried on with the same dedication by their son Guy Macpherson-Grant and his wife Victoria, the latest evolution being the opening of Ballindalloch Single Malt Distillery. What is perhaps less well known is that Captain W.E. 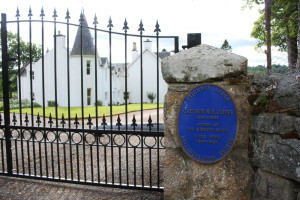 Johns wrote many of his Biggles stories here at Ballindalloch. In September 1944 Johns became the tenant of the 5th Baronet, Sir George Macpherson-Grant, when he took up the lease on Pitchroy Lodge. His attempts at re-joining the RAF had been thwarted (at 46 he was too old) and Johns had spent the period of the Blitz serving with his local ARP (Air Raids Precaution) unit in Reigate Heath, Surrey. 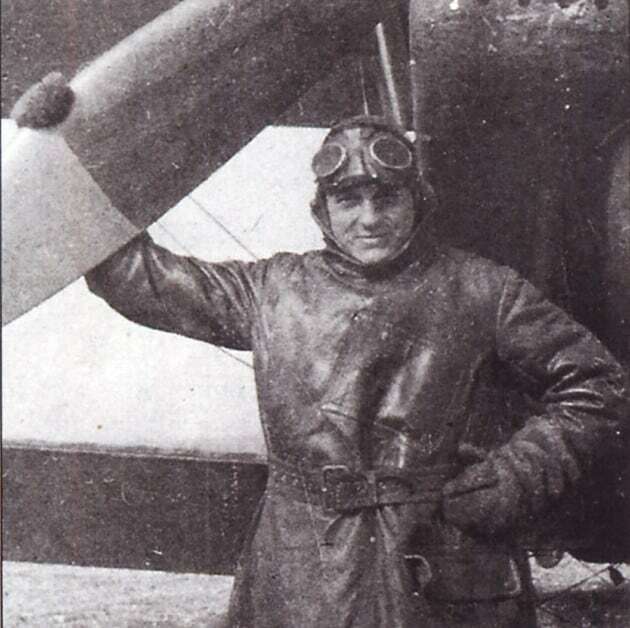 For the majority of the war he had worked for the Air Ministry, helping with the recruitment and training of RAF and WAAF personnel. Located in a 19th century steading, Ballindalloch Distillery began production in September 2014 after a number of years of planning, building and renovation work. It can very much be said that the building of Ballindalloch Distillery is a return to the industry for the Macpherson-Grant family following the work of Sir George Macpherson-Grant, the 3rd Baronet of Ballindalloch who began his involvement in the industry in the 1860’s. Ballindalloch Castle has been the home of the Macpherson-Grants since the Sixteenth Century and today is one of the finest surviving examples of a classic Scottish baronial castle. Situated on the banks of the River Avon, a short distance from its junction with the River Spey, we welcome visitors from Good Friday until 30th September. Come and explore and enjoy five hundred years of Highland history, acres of formal gardens, woodlands and riverside walks, the children’s Playground, Picnic Area, Tearoom and Gift Shop…and some award-winning loos! 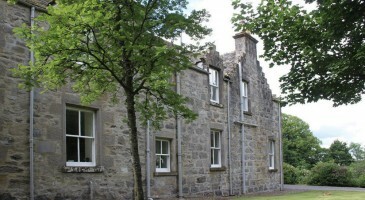 You find information about the castle on the Ballindaloch Castle and Gardens website. 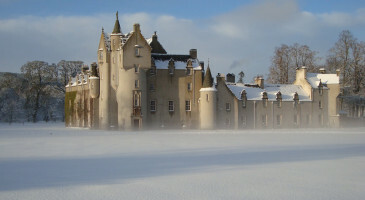 With its magnificent baronial style castle, bounded by lovingly manicured grounds and a picturesque walled garden, Ballindalloch Estate offers the ideal Scottish Highlands venue for private functions, conferences, corporate hospitality, photo shoots and anything else you can think of – well, that is legal! For business and corporate clients the Ballindalloch Estate, set amidst the tranquil Spey Valley, affords the perfect ‘escape to the country’ experience for professionals looking to freshen up their ideas and recharge their batteries. We can provide tailor-made itineraries and on-site support to make sure your organisation reaps the full benefits from its conference, seminar and team building activities. 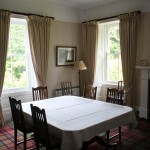 Ballindalloch Estate is conveniently situated for both Aberdeen and Inverness international airports. The old fashioned splendour of the grounds and the unspoilt facade of our ‘fairy-tale’ castle make Ballindalloch Estate an excellent location for product launches, fashion shoots and brand marketing. The tasteful blending of middle-ages fortification and later Georgian and Victorian gentrification also afford plenty of filmic opportunities for Location Managers looking for an authentic Scottish Highlands period setting. Onsite catering and accommodation can be provided for production teams and their support staff, together with props and casting facilities where required. For all our guests there are a large variety of extracurricular activities available both on-site and nearby. Ballindalloch provides plentiful opportunities for traditional Highland country sports and our guests are welcome to try their hands at fly-fishing on the Rivers Spey and Avon or shooting and deer stalking upon the local moors; ably assisted and tutored by our experienced ghillies. We can also arrange an array of sporting activities outside of the Estate, including clay pigeon shooting, archery, white water rafting, off road driving and mountain orienteering. Whatever your event, whether business or pleasure, our team here at Ballindalloch Estate will create a bespoke package customised to your individual requirements. To find out more please contact us here. · To provide a home for the current and future generations of the Macpherson-Grant family while also being a thriving family business. · To work together with all stakeholders to achieve a high standard of stewardship and land management for the benefit of present and future generations. · To adopt consistent policies for the conservation of the natural assets of the Estate. · Contributing to the economic activity of the local area. · Maintaining efficient and considerate management policies for all areas of activity. · Ensuring an exemplary welcome for all visitors to the Estate, whether for tourism, leisure or business. · Providing good working conditions for staff and good living conditions for those accommodated on the estate, while ensuring equal opportunities for all. · Contributing where possible to the social well-being of the estate staff, pensioners, tenants and the local community. · Keeping costs under scrutiny and constantly improving the standard of financial accountability and management of the Estate. · Managing in an efficient and sustainable manner the natural assets of the Estate, and developing new economic enterprises where viable and appropriate. · Conserving the natural heritage of the Estate, and maintaining to a high standard all built heritage of importance. · Managing efficiently and sustainably the wild game resources of the Estate and providing a variety of shooting, stalking and fishing opportunities. · Managing the natural woodland and forestry plantations in a sustainable manner. The Ballindalloch Estate is a privately owned and professionally managed family business in the heart of Speyside in North-East Scotland that employs more than thirty people. The Estate consists of farmland, woodland, distilling, tourism, leisure, sporting, and renewable energy interests and a number of commercial and residential properties. This activity is centred on Ballindalloch Castle, which is a listed building of national heritage interest, having been built originally in 1546, and is one of only a small number of castles in Scotland still lived in by the family of its original owners. The Estate aims to maintain diverse economic activity in this rural area in order to make a significant contribution towards a sustainable rural community in keeping with its Highland surroundings. Visitors are welcome on the Estate; the family consider that education is essential for people to understand the Estate’s role in the wider community. The Estate is an area of approximately 9,000 hectares of farmland, woodland and moorland at the junction of the Rivers Spey and Avon in the North-East of Scotland. The Estate straddles the Morayshire and Banffshire county boundaries and has changed little in its extent since the late Eighteenth century. Ownership of the Estate throughout this period has been, and presently is, the responsibility of the Macpherson-Grant family. The character of the Estate varies from the riverine landscape of the straths of the Spey and the Avon at around 450 feet to the moorland on Ben Rinnes and the montane conditions existing at the Estate’s march on the Scurran of Morinsh at 2,500 feet. In between there is a mixture of arable and livestock farming land, both held in hand and tenanted, a variety of natural woodland areas and commercial softwood plantations, as well as areas of peatland and wetland. The permanent population of the area is centred on the settlements of Marypark and Cragganmore, though the numbers are swelled considerably by those living throughout the area in the various properties and by those visiting during the summer months. The Estate is situated in Speyside, seven miles south-west of Aberlour-on-Spey and fourteen miles north-east of Grantown-on-Spey. These villages provide much of the support infrastructure for those living on the Estate. The main businesses in the Speyside area are tourism, whisky distilleries, farming and country sports, together with the world-renowned food manufacturers Walkers Shortbread and Baxters Foods. Access by road is straightforward since the Estate is almost bisected by the A95 Keith to Aviemore trunk road. Minor roads lead off to Glenlivet and Knockando, while a number of single track public roads also exist. Access by foot to the upland areas is simple, for instance by the well-signposted Speyside Way that crosses the Estate. However, since the Estate is by no means an area of ‘wild land’ and has no hills of Munro height, the pressure from hill-walkers has never been extensive. The Estate presently directly employs a full time resident Factor and more than thirty people full time, part time and seasonally; in addition the Estate provides work for a substantial number of local tradesmen. The Estate is owned and run by the present generation of the Macpherson-Grant family, who live at Ballindalloch Castle. The management of the Estate is headed by Guy and Victoria Macpherson-Grant who manage a number of aspects of the Estate directly. There are seven tenanted farms on the Estate, as well as the Home Farm. The Estate has a narrow choice in the economic activity it carries out. Within the limitations placed upon it, the Estate looks to carry on a business that has several components, in order to generate sufficient income to reinvest in the Estate and its assets. The following sections identify the various operations of the Estate, the key elements of its businesses and the aims the Estate has for those businesses. The lands of Ballindalloch and Glencairnie were granted to John Grant of Freuchie by King James IV in 1499 in reward for his: ‘Good faithful and thankful service in peace and war’. Ballindalloch Estate encompasses over 7,000 hectares of mature woodland, moorland, grazing pastures and arable fields and is home to the oldest herd of Aberdeen Angus in the world. 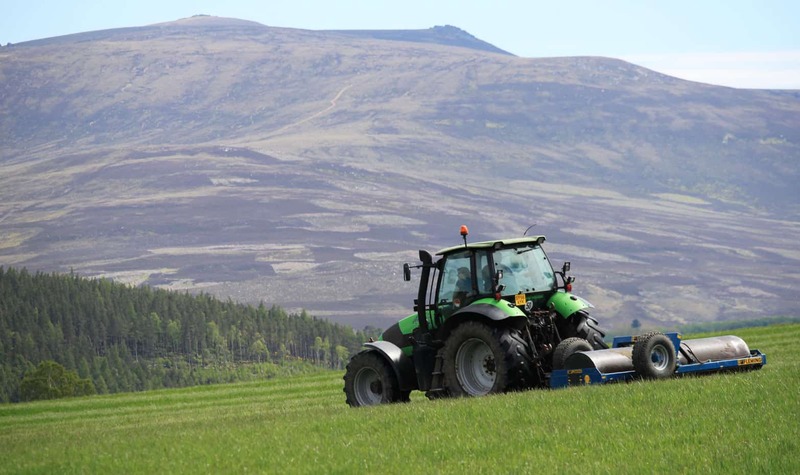 We are supporting the diversification and growth of the rural Speyside economy through land management practices in keeping with the unique heritage and landscape of the Scottish Highlands. The mature woodland and heather clad moorland of Ballindalloch Estate provide first class beats for grouse, pheasant and partridge shooting. Moreover, the roe stalking is of the finest quality and world renowned. Sited at the confluence of the Rivers Spey and Avon, Ballindalloch Estate is renowned for the fishing for salmon and sea trout in its crystal clear waters. Offering a unique combination of tranquillity, privacy and a touch of old-fashioned luxury, Ballindalloch Estate is the perfect venue for a Scottish Highlands getaway. Stretching from the edge of the Crown Estate’s Glenlivet Estate in the south to Glenfarclas in the north, Ballindalloch Estate encompasses over 7,000 hectares of mature woodland, moorlands, grazing pastures and arable fields, interspersed with farms and cottages. We currently farm about 400 acres of arable land, with production centring upon the Estate’s Home Farm. The primary crop is Spring Barley, with the bulk of the crop destined for our own Ballindalloch Distillery. 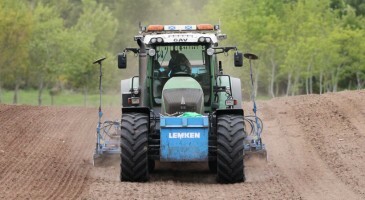 Working in partnership with local contractors, we sow the Concerto variety of barley each year and this provides the tonnage required for the following year’s whisky production. This is a very significant development because it means that every ingredient going into our Ballindalloch single malt has its origins here in Speyside – something that is not true of other local distillers, who often source their barley from across the United Kingdom. Our livestock holding focuses primarily upon our world famous pedigree herd of Aberdeen Angus, the oldest herd in the world, which currently stands at 75 beasts. The herd is a passion for the family, driven by the desire to continue the standards set by our forebears. Ballindalloch Estate forestry operations encompass native broadleaf woodlands, stands of Scots Pine and commercial forestry blocks. Management of all forestry on the Estate is conducted in accordance with an adopted and approved Forest Plan and utilises local contractors wherever possible. The careful management of our resident deer population, which is essential to preserve the right balance between our commercial interests and habitat diversity, is an important element of this Forest Plan. To discover more about our world famous herd of Aberdeen Angus, both past and present, please click on the pages in this section. The cattle you see today grazing in the fields of Ballindalloch Estate, hornless with hides as if polished jet black, are descended from the herd first started by Sir George Macpherson-Grant in 1860, and are now the oldest surviving bloodlines of Aberdeen Angus in the world. Farm visits are welcomed from fellow pedigree herd enthusiasts and from those interested in bringing Ballindalloch blood into their herd. Please get in touch with the Farm Manager, David Johnstone, through the Estate Office on enquiries@ballindallochcastle.co.uk or 01807 500 205. Black, hornless, cattle had been grazing the Highlands since the 12th Century. From the 16th Century onwards various types of hornless cattle were being bred in the North East of Scotland. By the late 1700s two local breeds had come to prominence: the old ‘Doddies’ of Angus and the ‘Hummlies’ of Buchan. Both breeds have a strong claim to being forerunners of the Aberdeen Angus. In the 1820s Aberdeenshire farmer and member of parliament William McCombie, along with (but working separately from) Hugh Watson of Keillor Farm in Angus, through line breeding and selection for type, began producing a breed of cattle noticeable for the quality of its meat and the ease of its rearing. Their pioneering work was taken up by the 3rd Baronet of Ballindalloch, Sir George Macpherson-Grant, who upon inheriting Ballindalloch Estate, set about the refinement of the breed: a labour of love that was to become his life’s work for almost half-a-century. Today the Aberdeen Angus is one of the most recognisable and popular beef breeds in the whole world. Ballindalloch Estate forestry operations encompass native broadleaf woodlands, stands of Scots Pine and commercial forestry blocks. Management of all forestry on the Estate is conducted in accordance with an adopted and approved Forest Plan and utilises local contractors wherever possible. The careful management of our resident deer population, which is essential to preserve the right balance between our commercial interests and habitat diversity, is an important element of this Forest Plan. One of the recent challenging elements to management of the trees at Ballindalloch has been the rapid onset of Dutch Elm Disease. As a result, a huge proportion of the elms on the Estate have died and this means that a large number of trees need to be felled. This has meant that some difficult decisions have had to be made for the long term health of the woods. A variety of trees, including the dead elms, have been felled to make way for sensible re-planting for future generations. This has involved some expert tree felling by local tree surgeons who have kindly shared some of the experience on YouTube. Warning: not to be viewed by those scared of heights! If you would more information about forestry operations at ballindalloch please contact us here. Changing times have brought changing attitudes towards conservation and land use. In the 21st Century responsible stewardship of the land demands more than the preservation of the natural landscape. It also requires that we harness the abundant natural resources of the Scottish Highlands in order to combat climate change and generate sustainable energy supplies for future generations. We also believe that adding renewable energy to our portfolio of commercial activities will help us meet the challenge of diversifying and sustaining the rural Speyside economy. With these goals in mind we went into partnership with Fred Olsen Renewables and in May 2006 Paul’s Hill Wind Farm became operational. Located upon moorlands on the northern edges of the Ballindalloch Estate, Paul’s Hill Wind Farm comprises twenty eight Siemens 2.3 Mega Watt turbines and generates a maximum output of 64.4 Mega Watts of electricity. Power from our wind farm enters the national grid via the Scottish and Southern Energy substation in Moray and provides enough electricity to meet the needs of 35,000 homes annually. The establishment of a wind farm upon the Ballindalloch Estate has also brought immediate and tangible benefits to the local Speyside community. Paul’s Hill Wind Farm has established a community benefit fund which finances projects that help sustain the local environment, improve local amenities or assist in attracting more tourists to the region. The fund is administered by the Community Council and grants are made yearly. 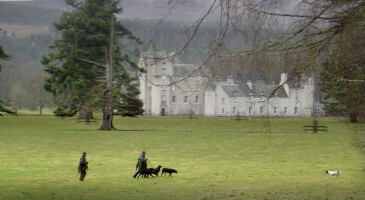 Ballindalloch Estate has been a popular destination for lovers of Highland country sports for many years. Our many acres of mature woodland and heather bound moorland provide first class beats for grouse and pheasant shooting and the deer stalking is of the finest quality. 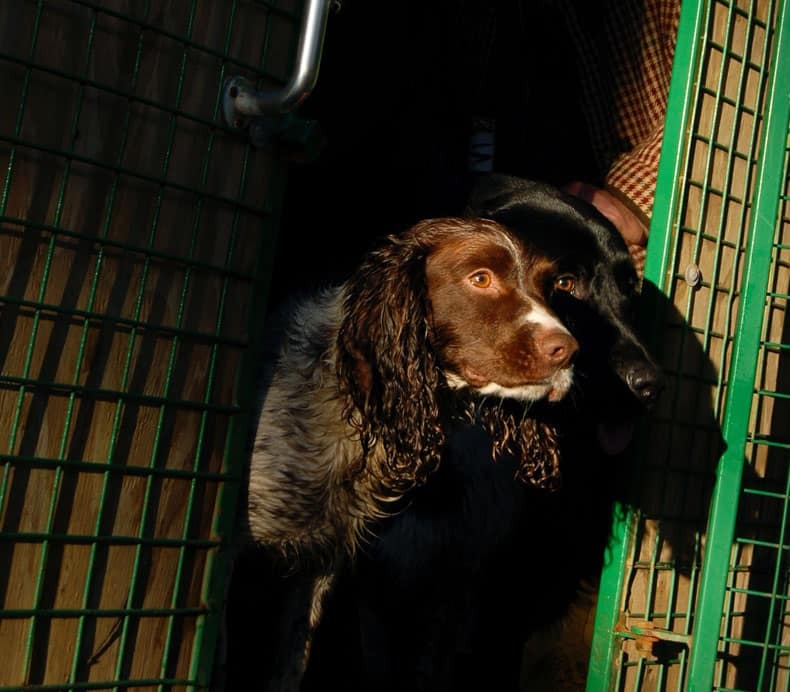 The shooting season starts in August (the ‘Glorious Twelfth’) and continues through to January, and we run organised shooting parties throughout the season. The natural topography of Ballindalloch Estate, especially the steep banks of the Spey and Avon glens, and our abundant mature hardwoods, make it the perfect setting for both driven shooting and walked-up shooting. Thanks to the hard work of our team of dedicated gamekeepers our moorlands are now well stocked with both red and black grouse, partridge and other indigenous upland species. A limited number of let days for both driven and walked up shooting for pheasants are made available each season, so it is important to book early. Stalking (aka ‘Hunting’) enthusiasts from around the world make the journey to Ballindalloch, attracted by the excellence of our deer stalking. The tranquillity of woodlands and the richness of the foliage helps engender superb quality bucks and does. 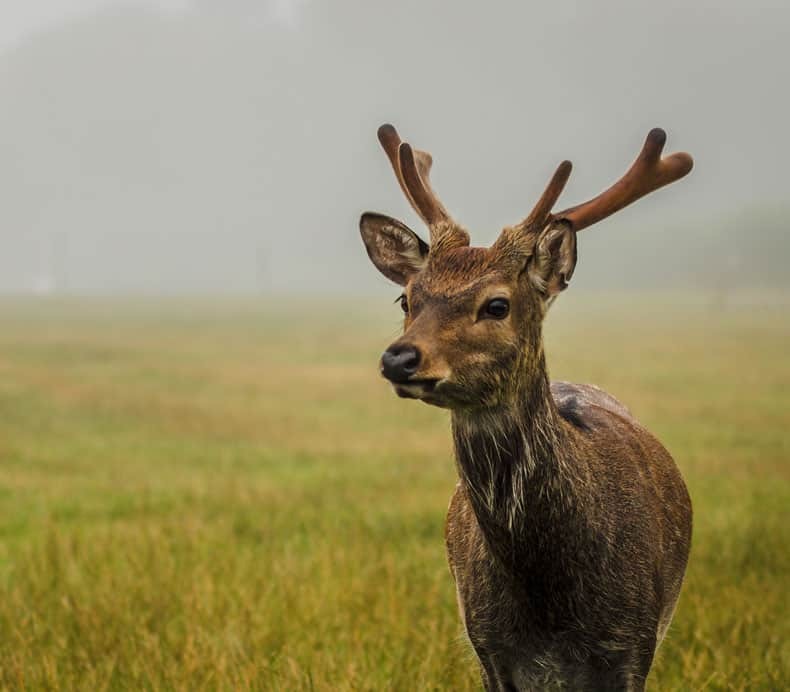 Red deer are to be found both on the moors and woodlands hereabouts and offer interesting stalking challenges, although it is the iconic roe deer that Ballindalloch is particularly famed for. Our season extends from April to July each year, and we can accommodate two rifles on a daily or weekly basis. We are experienced in arranging the relevant gun licences for clients visiting from abroad and we are happy to organise bespoke itineraries tailored to your needs. We offer self and full-catering options for our shooting parties and we can put together a package that includes shooting, fishing, distillery visits and other local activities at your discretion. For current availability please contact the Estate Office via the Contact us page or by telephone on 01807 500 205. Two great Scottish Highland rivers converge at Ballindalloch Estate. The River Spey, springing from a small loch in the Monadhliath Mountains, is the second longest river in Scotland and indisputably the fastest. The River Avon, the longest tributary of the Spey, has its source some thirty eight miles distant upon the summit of Ben Muich Dhui. Both rivers are renowned for their clean and crystalline waters and healthy stocks of salmon and sea trout. Indeed, so clean is the River Spey that it sustains one of the largest populations of fresh water pearl mussel to be found in Scotland. Ballindalloch Estate boasts over three miles of double-bank fishing on the River Spey and fishermen and women travel from around the world to fish the famous salmon pools of the Castle and Pitchroy beats. Well known for its torrents and steep gradients, the River Spey travels more gently through the Estate and provides good stocks of native Brown Trout and both Spring and Atlantic Salmon. In addition we have six miles of challenging fly-fishing on the River Avon. Known hereabouts as the ‘Fisherman’s River’, the Avon (pronounced A’an) brawls and rushes on its journey toward the River Spey and our pools and runs offer excellent stocks of Spring and Atlantic Salmon. 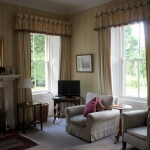 Fishing vacations on the Ballindalloch Estate are tailor-made to suit the needs of our guests. Our beats can be fished exclusively by the week with some day permits available. 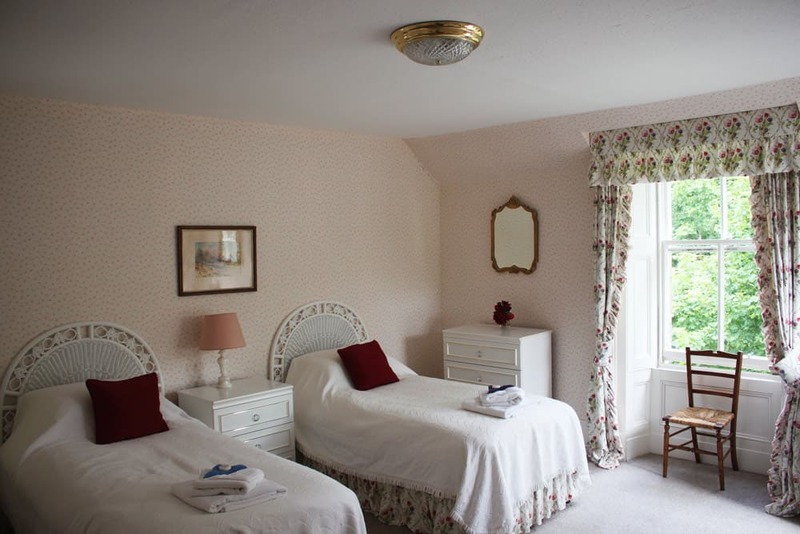 Spacious and comfortable accommodation can be provided at either Marionburgh House or the Delnashaugh Hotel and both self-catering and full-catered options are available. All our beats have riverside huts and novices and experts alike will benefit from the local knowhow of our long serving ghillies. For more information on our beats, availability and how to book a fishing vacation with Ballindalloch Estate, please browse the pages in this section. 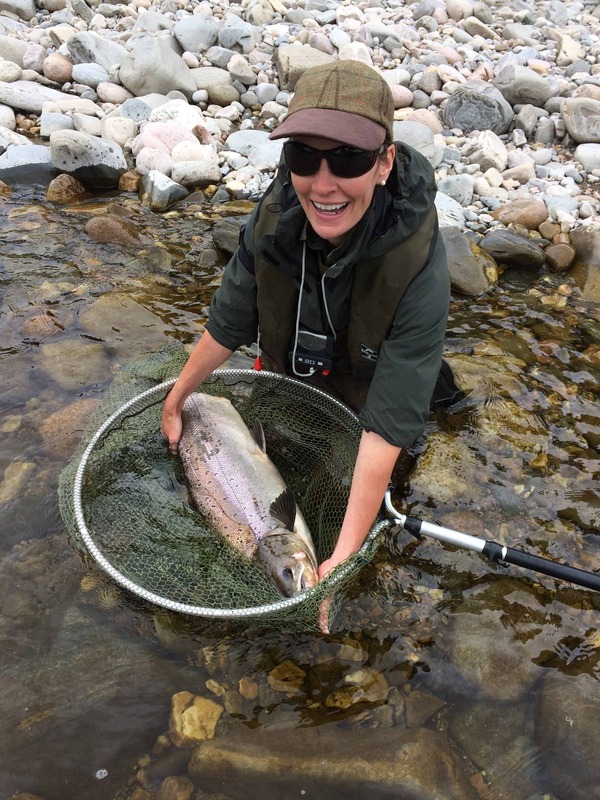 The fishing season on Speyside runs from mid February until the end of September. Fishing at Ballindalloch does not usually begin until around the end of March. The report shown below is generated from data collected at the Ballindalloch fishing hut on the River Spey daily in season. You can also find up to the minute information on current condition on the River Avon taken at the Delnashaugh on the SEPA website. Ballindalloch Estate offers two beats upon the River Spey. Our ‘Castle’ beat includes the famous Junction Pool and is possibly the best known middle beat on the whole river. Six rods supported by one gillie. Marches with Tulchan D and Pitchroy. All pools are double bank. Four rods supported by one gillie. 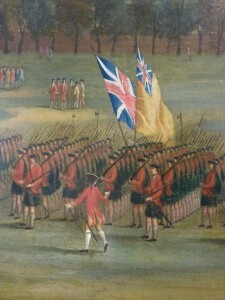 Marches with Ballindalloch and Knockando. 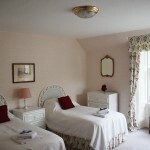 Ballindalloch Estate offers six beats on the River Avon, spread over two area of riverbank. Five rotating beats of two rods supported by one gillie. Marches with Crown Estate and Ballindalloch Estate Water. All pools double bank except for top two beats. Four rods and does not require gillie support. The fishing season on the Spey and Avon runs from 11 February until the end of September. However, due to local conditions, fishing at Ballindalloch does not usually begin in earnest until around the middle of March. Fishing on our two River Spey beats is usually let by the week, with room for up to ten rods, and can be booked to include self-catered accommodation at Marionburgh House. 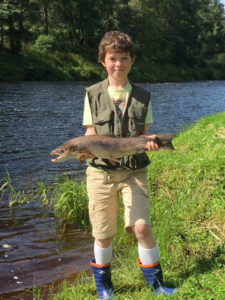 Fishing on our River Avon beats can be let by the day or week and can include fully-catered accommodation at the beautiful riverside Delnashaugh Hotel or self-catering in one of our well-equipped Estate cottages. We look forward to welcoming you to the Ballindalloch Estate for a week of top quality fishing. For current availability please contact us here or by phoning the Estate Office on 01807 500 205. The River Spey is the home of speycasting and one of Scotland’s big four salmon rivers. It has the third largest drainage area after the Tay and Tweed and is the second longest after the Tay. However, its major attraction is its size and the strength of its stream – in the middle and lower river it falls on average 12 feet per mile – the gradient and volume of flow produce a unique experience for the angler. An interesting aside, the Spey, unlike most British rivers, does not have a sizeable town at its mouth. The river is snow fed from the Cairngorm Mountains and in a good year this can mean the river staying high until early June. The tackle required depends on the time of year and where you are fishing. If fishing the lower or middle Spey stout tackle will be needed during the spring and autumn, and even in the summer if there happens to be a flood. When fishing in the spring or autumn long rods of around 15-16ft rods are used by many experienced Spey anglers, often with intermediate or sinking lines and/or sink tips. In the summer a 13-15ft rod with a floating line is usually sufficient although in times of drought a single-handed rod may suffice. It is advisable to ensure that your reel has plenty of backing as a large fish in a strong current can take a lot of line. Salmon are not known as leader shy so do be frightened to fish with 15-18lb nylon in the spring and nothing less than 10lb in the summer. The choice of flies depends on the time of year you intend to fish and the height of the water. In the spring ‘any fly will do as long as it is a Willie Gunn’ is a commonly heard expression. During the summer months try shrimp patterns like General Practitioner, Ally Shrimp and Cascade – and who would dare fish the Spey without a Munro Killer in their box? In low water conditions a member of the Stoat’s Tail family is always good for grilse. Chest waders are usually required on most beats. These can be hired or bought and can be a good investment. Neoprene waders or breathables with several under layers are required in the spring and will help keep out the chill although as the year progresses breathables will be most suitable. Warm waterproof clothes are also advisable as the weather in Scotland can be unpredictable; it is easy to take off a layer if you get too warm. In the interests of safety a floatation aid is highly recommended and is compulsory on some beats. Given the power of the Spey flow a stout wading stick is also advised. Scottish legislation requires that all salmon caught before the 1st April must be released. 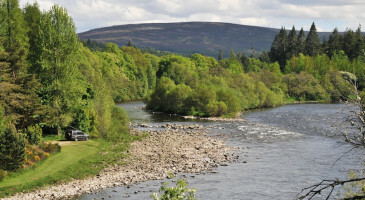 In order to protect the integrity of the Spey stock and to maximise their spawning potential, the Spey Fishery Board’s policy is that all fish caught up to and including the 31st May should be released alive. From the 1st June the policy set out below will apply. Escaped farmed salmon must be retained. 2. Method: Where possible anglers should be encouraged to fish with a fly; All hooks should be ‘pinched’ or barbless; Where spinning is allowed only one set of barbless hooks may be used on a lure. 3. Fishing effort: Where possible the numbers of hours and rods fished should be limited. Conservation Policy: The 2016 Conservation Policy can be downloaded from the River Spey Fishery Board here. The Ballindalloch Estate covers some 7,000 hectares of mature woodland and heather clad moorland. At the heart of the Estate stands 16th Century Ballindalloch Castle, set within over a mile-and-a-half of formal gardens, woodlands and riverside meadows. To the north and east the grounds are bordered by the River Spey and the rising gradients of Cairn Guish, whilst to the west lies the River Avon, its source on the summit of Ben Muich Dhui. We employ a number of schemes to ensure the general public can gain safe access to the grounds and wider countryside of the Ballindalloch Estate. A series of marked walks have been created in the Castle Grounds to give visitors easy access to the delights of the local flora and fauna. These walks provide an opportunity to explore the Gardens, the nearby rivers Spey and Avon and to see the Ballindalloch Aberdeen Angus herd. At harvest time, hay and silage-making will be underway in the grass rich pastures close to the Castle, adding the chance to see life on this working Estate. For those who wish to venture further afield, the Riverside Walk wends its way along the banks of the River Avon, affording the chance to spot salmon and fresh water trout leaping in the summer months. The Speyside Way, one of Scotland’s famous long-distance footpaths, also runs through the Ballindalloch Estate, which was an early supporter of the route. It follows the course of the old Great North of Scotland Railway line, once a vital artery connecting Speyside to the wider world. About a mile west of the Castle can be found Ballindalloch Station, beautifully preserved, and a little further on, Cragganmore Distillery, founded by the 4th Baronet, Sir George Macpherson-Grant, along with the distiller John Smith, in 1869. We are always happy to show visitors around the Ballindalloch Estate. Please contact us for further information. The variety of wildlife to be seen here at the Ballindalloch Estate is thrilling and at times unexpected. Thanks to the conservation work of our ghillies and gamekeepers, the heather bound moorlands of Ballindalloch are once again home to healthy populations of indigenous Red and Black Grouse, Partridge, Capercaillie and wild Pheasant. On our sections of the Rivers Spey and Avon Atlantic Salmon, Wild Brown and Sea Trout continue to prosper. The mature woodlands of the Ballindalloch Estate are carefully managed to maintain a sustainable population of both Roe and Red Deer. From time-to-time the patient observer will spot a Pine Marten, a rare species that thrives in the Scottish Highlands, and the elusive Scottish Wildcat. We are also pleased to say that the endangered Red Squirrel does very well on the Estate and numbers continue to grow, especially in and around the Castle Gardens. Raptors fare well here too. Long-eared and barn owls can be heard (more often than seen) amongst the dense foliage and grasslands of the Ballindalloch Estate. Whilst up on the moorlands the keen twitcher can spot sparrowhawks, buzzards and kestrels, hanging on the wind and wheeling in an open empty sky, and of course ospreys – the symbol of Speyside. 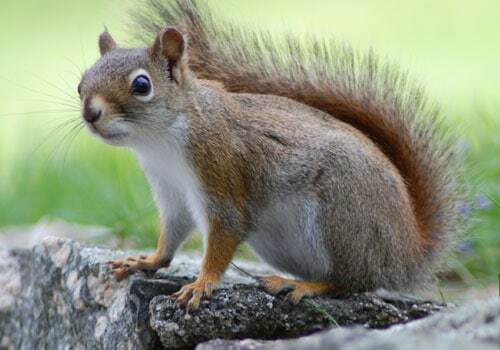 The red squirrel is native to Britain, but its future is increasingly uncertain in parts of the country as the introduced American grey squirrel expands its range across the mainland. There are estimated to be only 140,000 red squirrels left in Britain, with over 2.5 million greys. However, they are prolific in this part of scotland with reports that they are in fact pushing back against the non-native grey squirrel population. 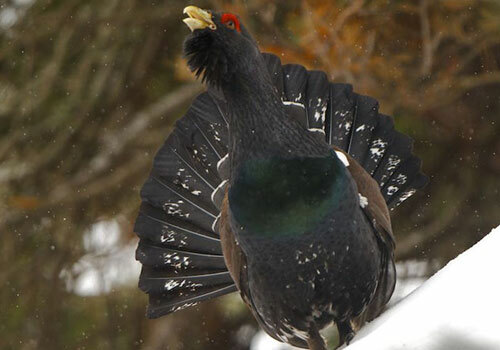 The capercaillie is one of Scotland’s most iconic birds, but also one of the most endangered. 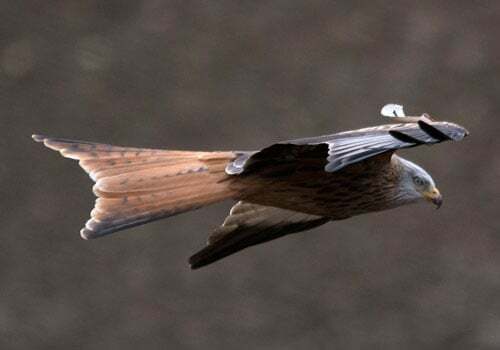 There are thought to be only around 1000 birds left in the wild and the north east of Scotland is a major stronghold for the species with at least 80% of the national population. 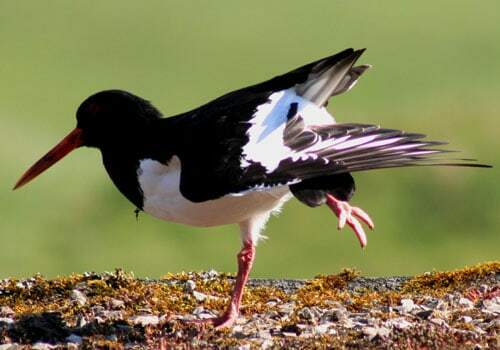 You can’t mistake an oystercatcher. They are distinctive and vocal birds. Both sexes of this wading bird are similar, having predominantly black plumage with a white underbelly. In flight you also see a white bar along the upper wing. It has a very distinctive red beak, red around eyelids and red legs; with a loud piping alarm call on the ground and in flight. The nest is usually a depression in stony ground. 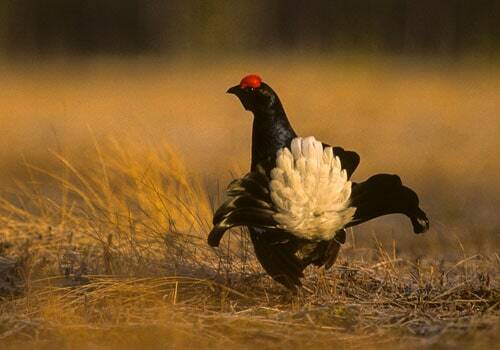 Better know as the Black Grouse, the all-black males have distinctive red wattle over the eye and show a striking white stripe along each wing in flight. 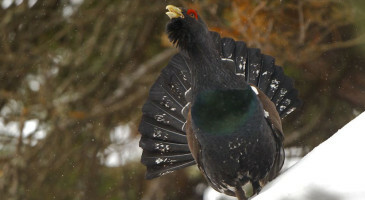 They have a lyre-shaped tail which is fanned out and raised to show white under-tail feathers when displaying. The smaller grey-brown females have a slightly notched tail. There are 14 species of raptor that make their home here (18 if you include owls). Some are resident here all year, while others, like the osprey, fly thousands of miles to breed or winter in this part of Scotland. A great deal of work is being done in the area of land management to help protect the species. 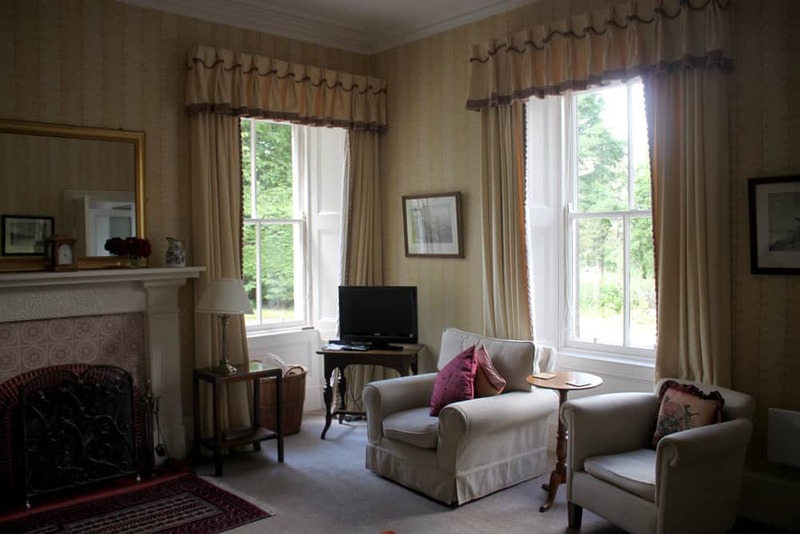 Located between the granite mountains of the Cairngorms and the long sandy beaches of the Moray Firth, with a magnificent 16th Century baronial castle at its centre, Ballindalloch Estate is the perfect venue for a Scottish Highlands vacation. 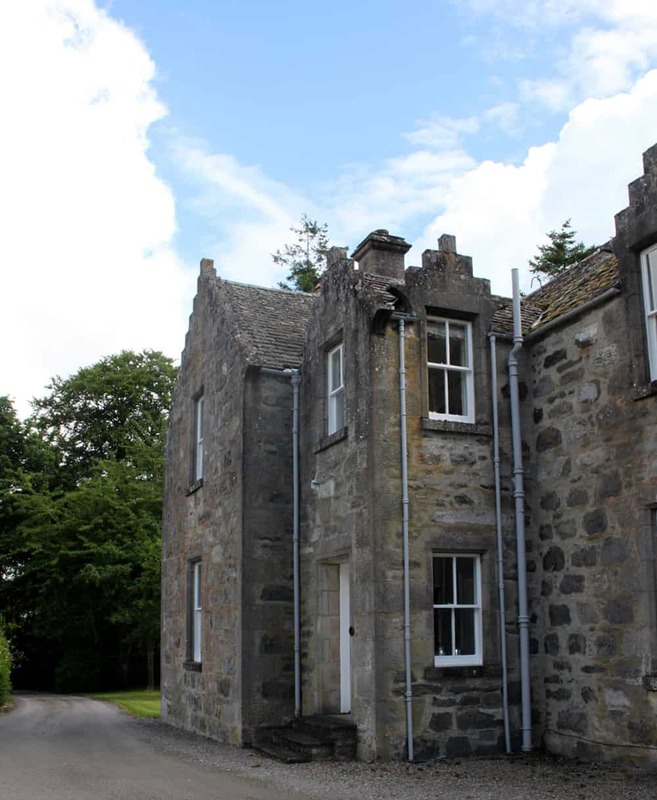 Our holiday properties nestle amongst the wooded glens of the Spey Valley and are traditional stone buildings, built to exacting standards and tastefully upgraded, affording our guests a pleasing combination of tranquillity, privacy and a nice touch of old-fashioned luxury. We offer both self-catering and fully-catered packages and these can be tailored to suit the differing needs of holiday guests, corporate clients and sporting parties. There’s plenty to see and do nearby. The Moray Firth is listed by the National Geographic as one of the top ten coastal destinations in the world. The local cuisine is so rich and varied that Speyside has gained the moniker ‘larder of Scotland’. We have some of the best golf courses in Scotland on our doorstep. And don’t forget the ‘liquid gold’: Ballindalloch Estate is on the famous ‘Moray Whisky Trail’ and there are over forty distilleries to visit. For more information on staying at Ballindalloch Estate and the availability of the properties listed below please contact us here or phone 01807 500 205. 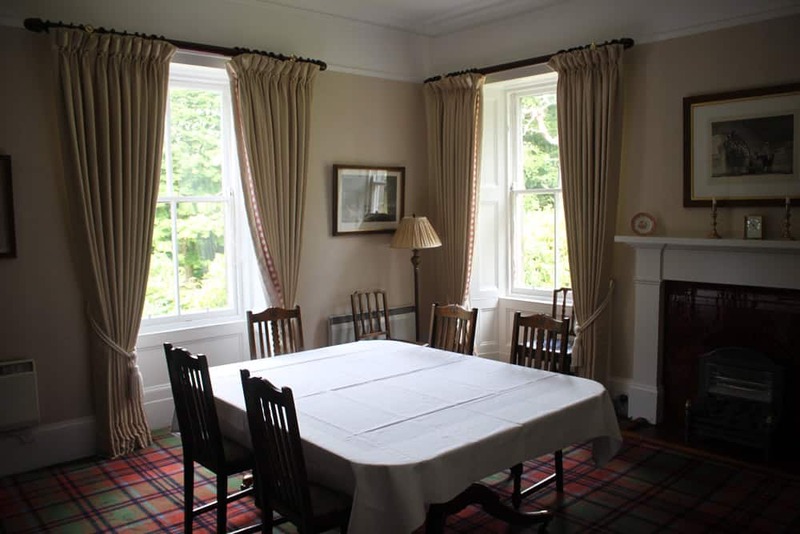 For guests wishing to stay on the Ballindalloch Estate fully-catered we have the Delnashaugh Hotel, a delightful early 18th Century droving inn situated on the banks of the River Avon. 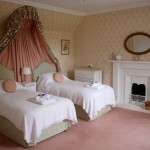 The Delnashaugh Hotel has eight double/twin ensuite rooms and one single room, a comfortable lounge with open log fireplace, a well-stocked bar and a newly refurbished restaurant. The menu changes daily and offers a variety of cuisines prepared from the best of local ingredients, and is complemented by an extensive and exclusive wine list and a fine array of Speyside malts. 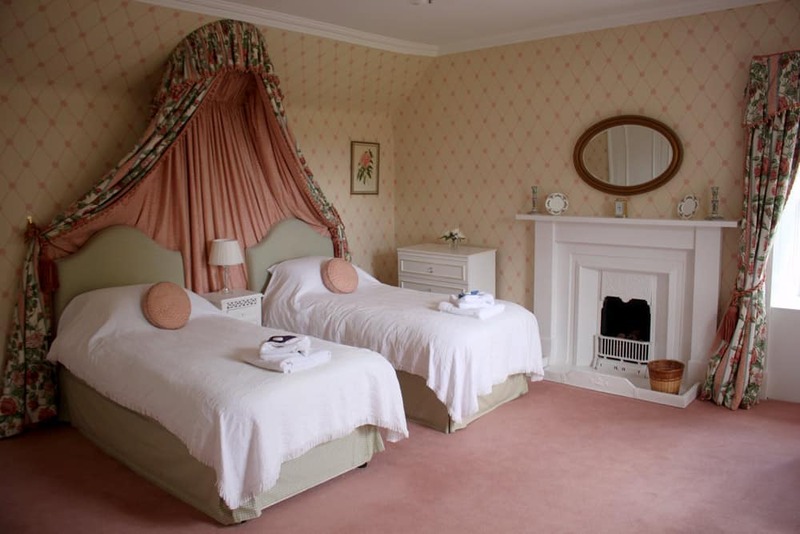 Please note that the Delnashaugh Hotel manages its own bookings directly and can be reached by phoning 01807 500379 and has it’s own website which can be found here. 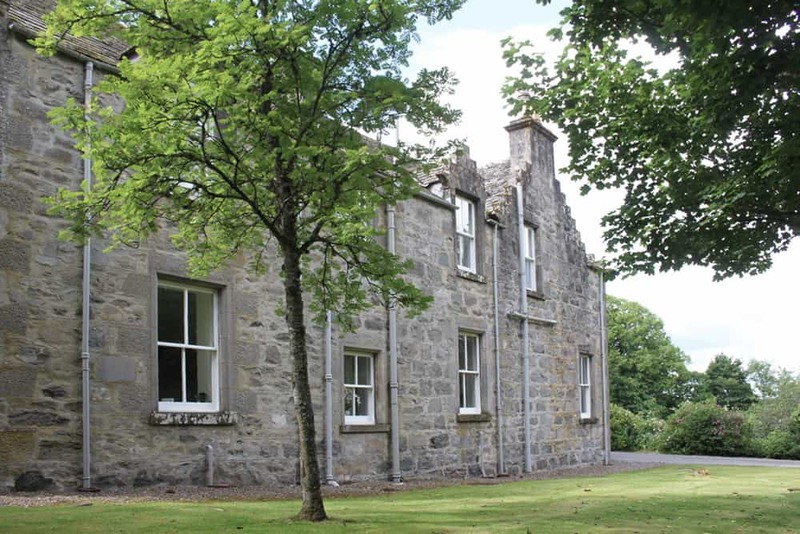 A traditional Scottish country house, Marionburgh House is set in its own private grounds amidst mature woodlands and provides spacious and comfortable accommodation for up to eight guests. Victorian in character but fully modernised throughout, this exclusive holiday let has four twin bedrooms, four bathrooms, a farmhouse kitchen, a large dining room, a cosy sitting room with a beautiful open log fireplace, and the water comes from the Ballindalloch Estate’s own natural spring. 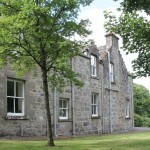 Marionburgh House is let weekly on a self-catering basis and the services of a housekeeper are available on request. Pitchroy Cottage is a charming riverside hideaway situated in the grounds of Pitchroy Lodge, once the home of Captain W.E. Johns, the creator of Biggles. Affording comfortable and spacious accommodation for up to four guests, Pitchroy Cottage has one double bedroom with ensuite bathroom, one twin bedroom, a well-appointed bathroom, kitchen with adjoining dining room and a pleasant sitting room. 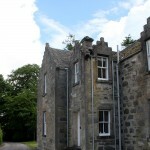 The property is available self-catering on a weekly basis from the beginning of March until the end of October.